Acquista online il nostro tessuto per abbigliamento, sartoria e moda Raso Stretch Nero in Seta, Stretch, Made in Italy. Tessuto Unito Raso Stretch Nero in per Abito, Abito da Cerimonia, Abito da Sera, Camicia, Lingerie. 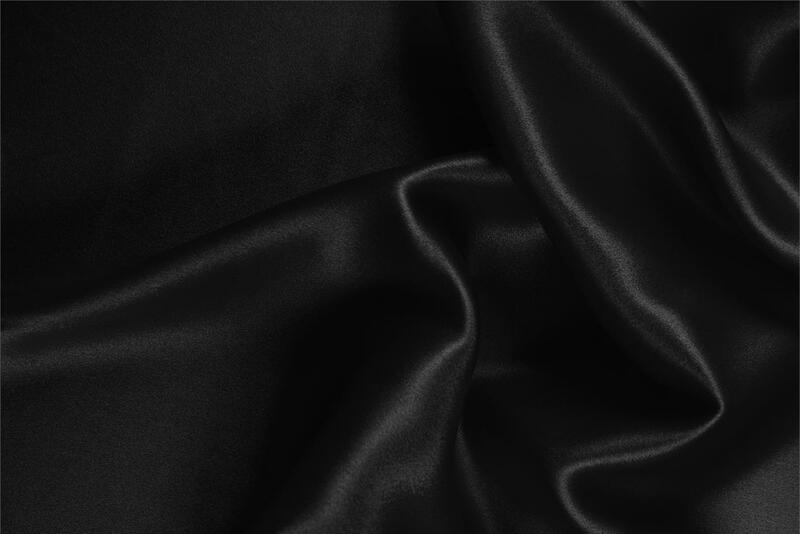 Excellent quality silk satin with nice shine that I will use for a camisole with lace trimming. The shade of black is a little subdued, not stark black which suits me fine. I have not washed the fabric yet, always pre-wash or dry clean before sewing. I am pretty sure the fabric will hold up well. A little static, but i do not mind. Perhaps the pre-treatment will help.